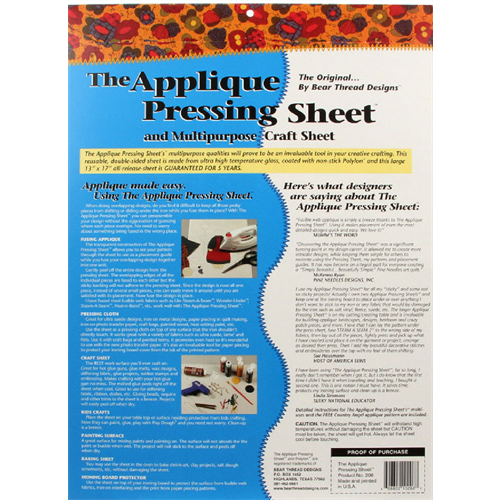 The Applique Pressing Sheet - - 13" x 17"
This is the One and Only, The Appliqué Pressing Sheet. This double-sided sheet is made from a ultra high temperature fabric and is coated with non-stick Polylon. This large 13" x 17" release all sheet is guaranteed for 5 years. Instructions for its multi-uses and a free appliqué pattern are included. 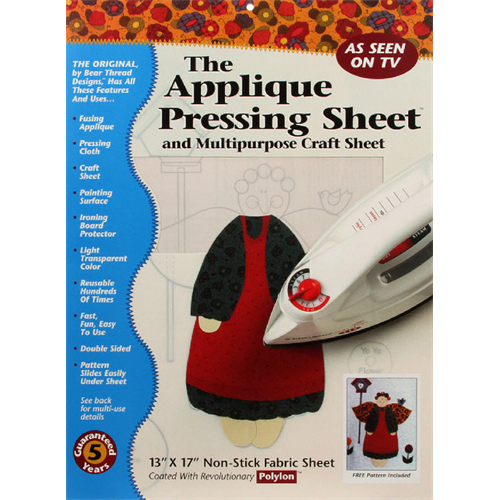 The Applique Pressing Sheet - 27" x 30"